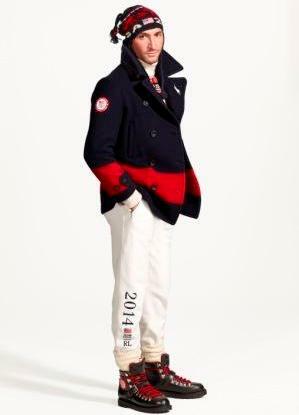 The Ralph Lauren-developed kit to be worn by the U.S. team in the Athletes’ Village and at the Closing Ceremony of the Winter Olympic and Paralympic Games in Sochi next year has been unveiled. US star Evan Lysacek wears the Closing Ceremony kit as he continues his battle to return from injury to defend his Olympic figure skating title in Sochi. In comparison with previous Olympic kits developed overseas, it has been produced within the U.S. These range the from knitted hats, gloves and scarves to nylon duffel bags and a limited-edition “polo bear” which will also be dressed in the Closing Ceremony uniform. “When the US Olympic and Paralympic teams march into the Olympic Stadium in Sochi, they will carry with them the support of all Americans,” said Peter Zeytoonjian, United States Olympic Committee (USOC) managing director of marketing.